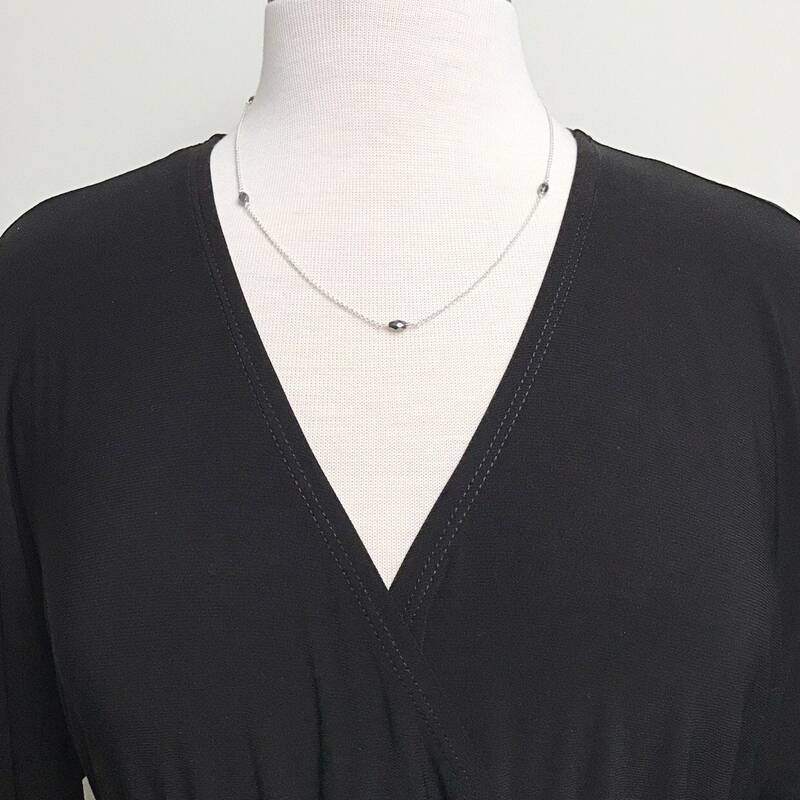 This stunning hematite necklace is a versatile addition to your wardrobe, going from day to night effortlessly. 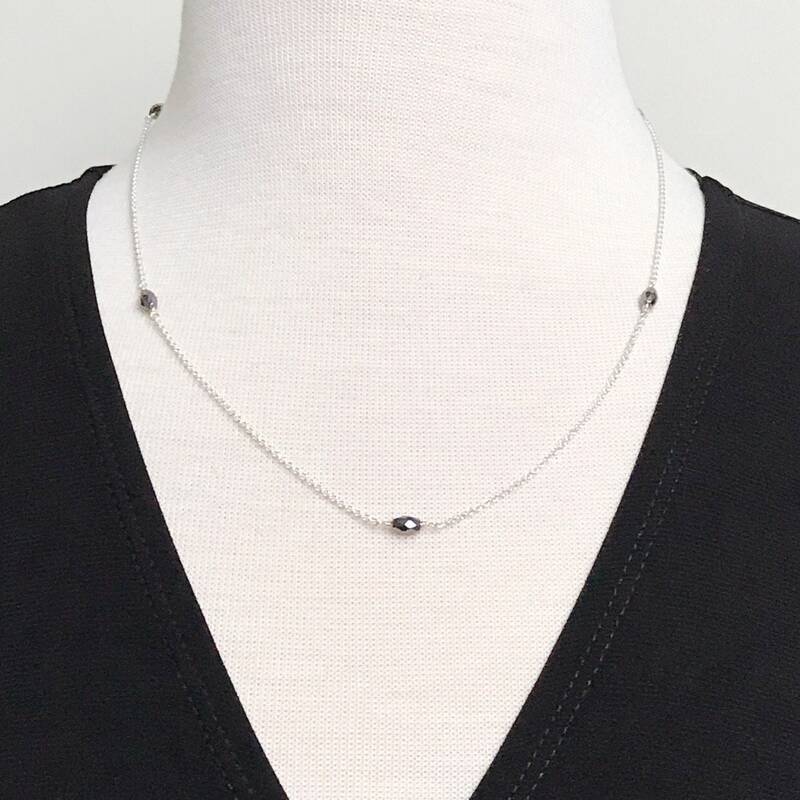 This delicate sterling silver necklace features five faceted oval hematite beads. Each bead measures 4x6mm, and is hand wrapped with sterling silver wire. 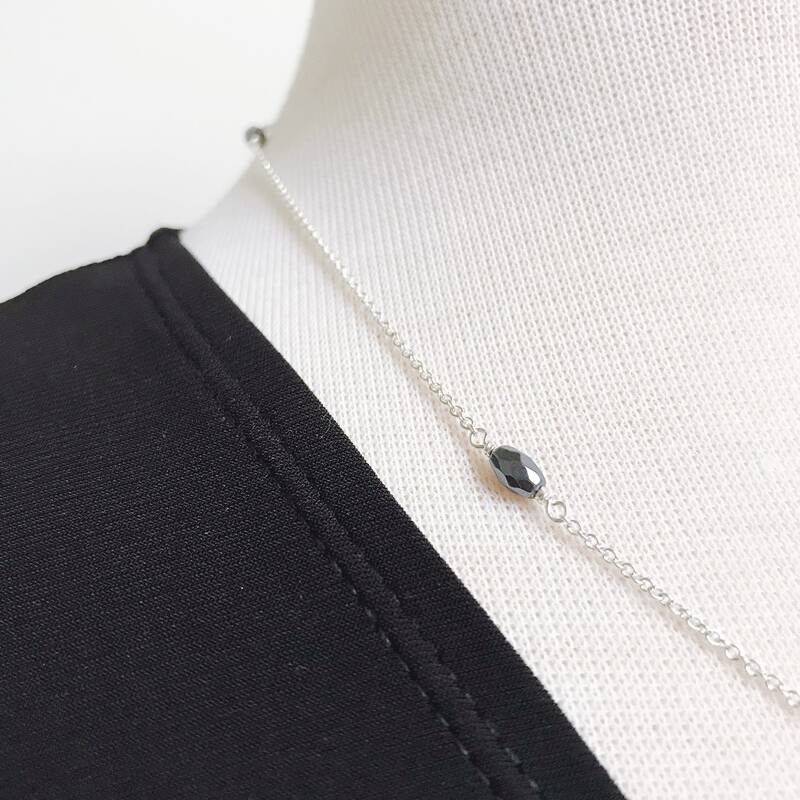 The dainty cable chain is finished with a sterling silver lobster claw clasp. 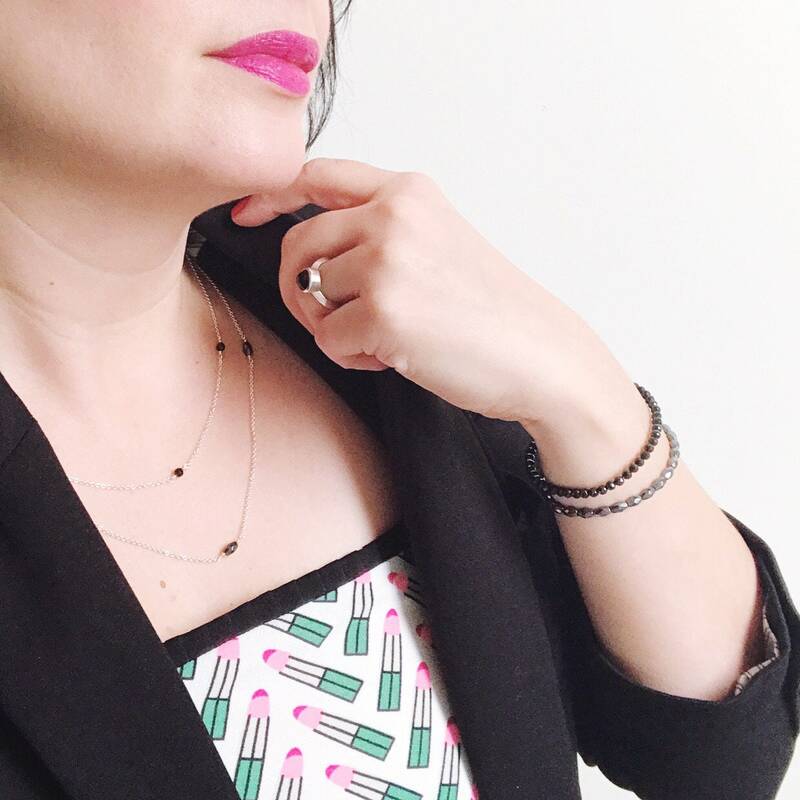 Measuring 20.5 inches in length, it is perfect for layering with other necklaces.